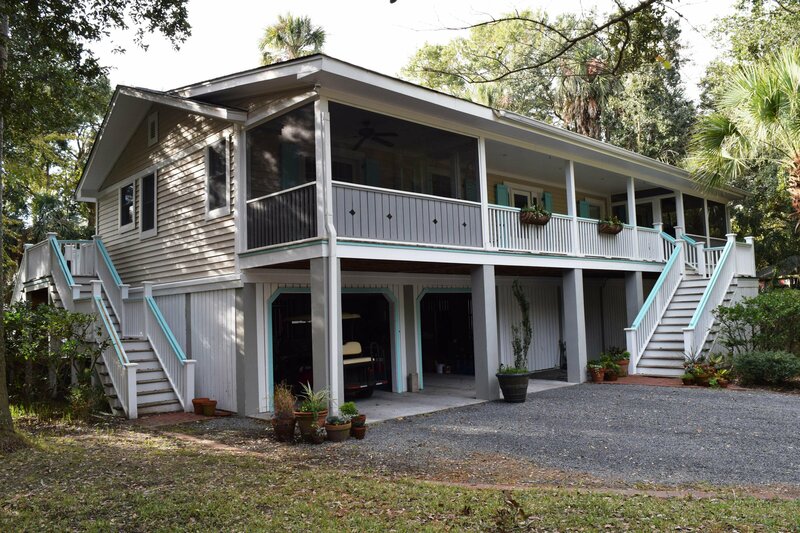 This gorgeous cottage in popular Forest Trail neighborhood on Isle of Palms is available for only the third time since built in 1967. 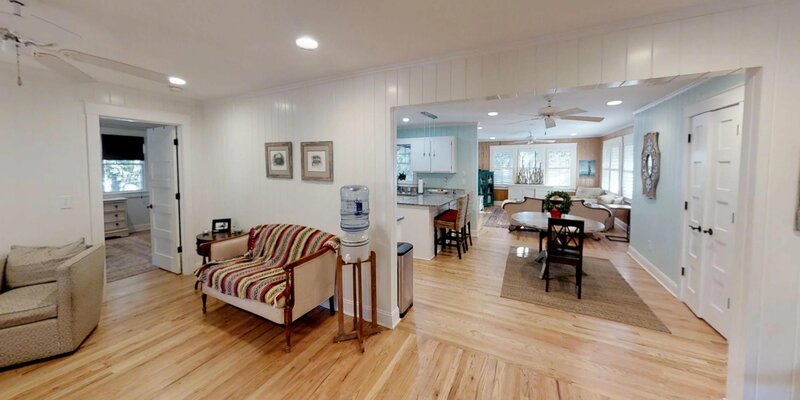 A quick walk, bike, or golf cart ride to the beach, this home was completely updated in 2010 to include granite countertops and hardwoods throughout, a redesign of a second guest bedroom with en suite bath and private screen porch, new roof, and elevating the home to 12' over grade to minimize flood insurance costs and provide ample storage and parking under the home. 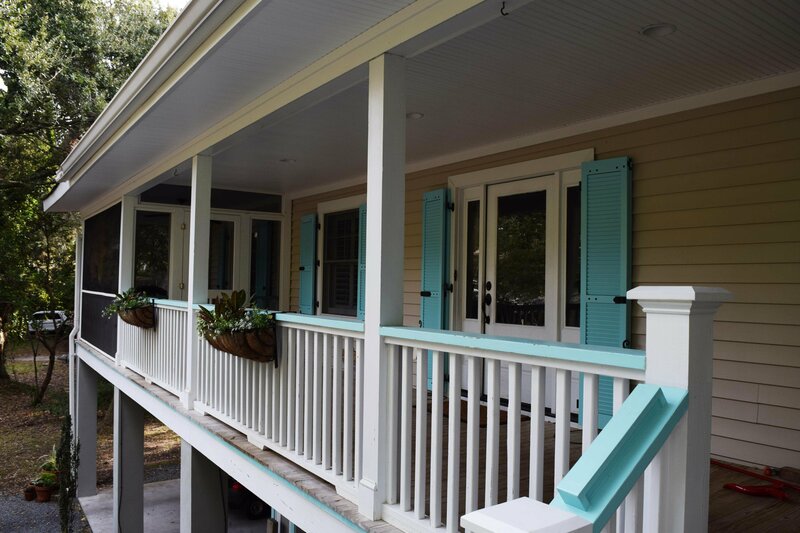 The exterior was painted in 2018 to freshen up the curb appeal and provide additional protection for years to come. 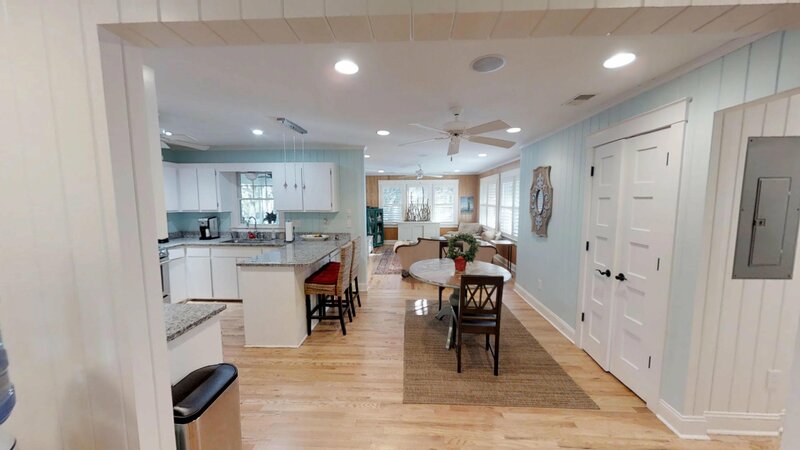 Hardwoods throughout the home were refinished in November 2018. 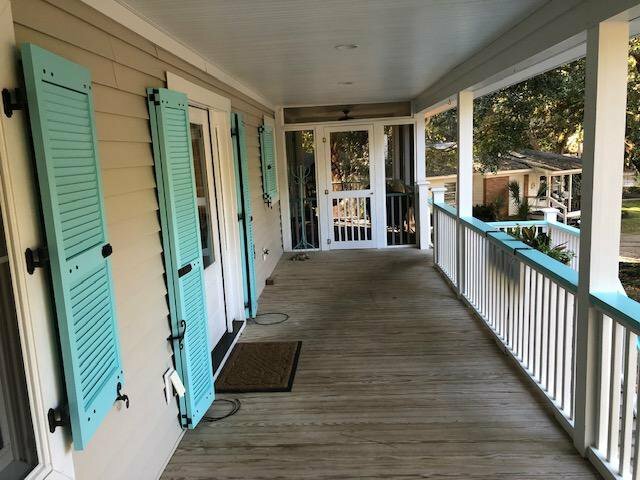 NEW HVAC 2018 as well. 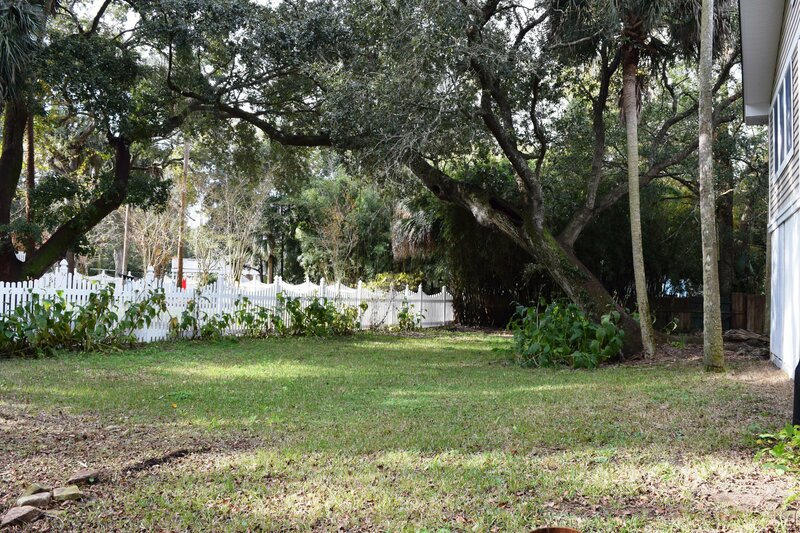 The large .32 acre lot provides excellent privacy with legacy oaks framing the home. 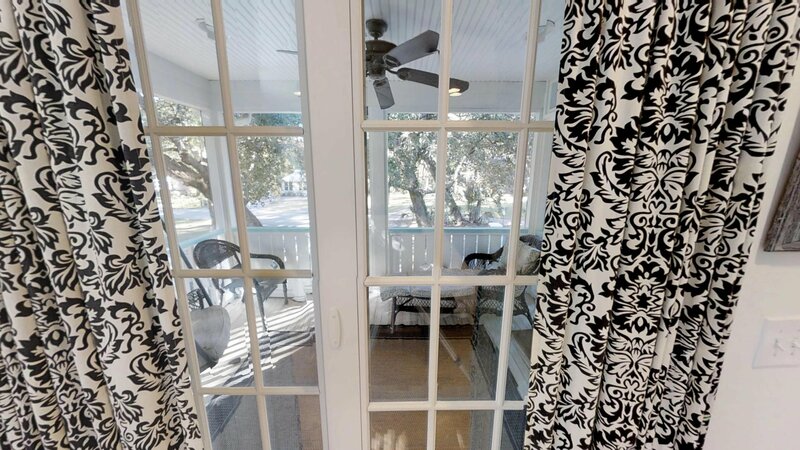 Ample space in the huge backyard for your own vision of landscaping, hardscaping, or add a pool and garden! 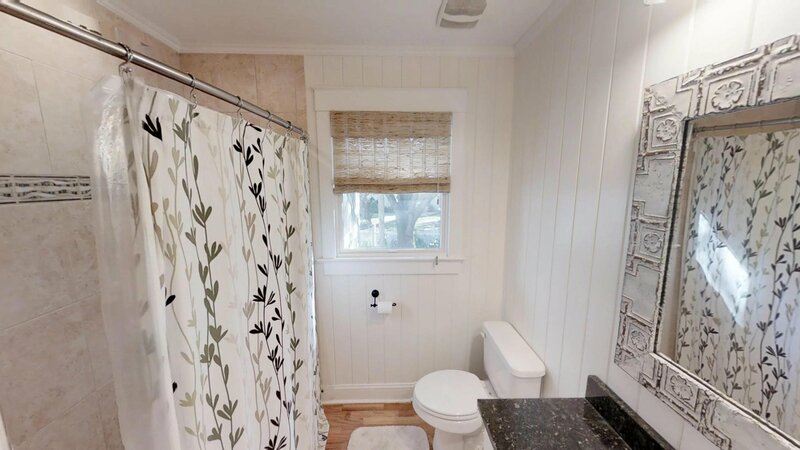 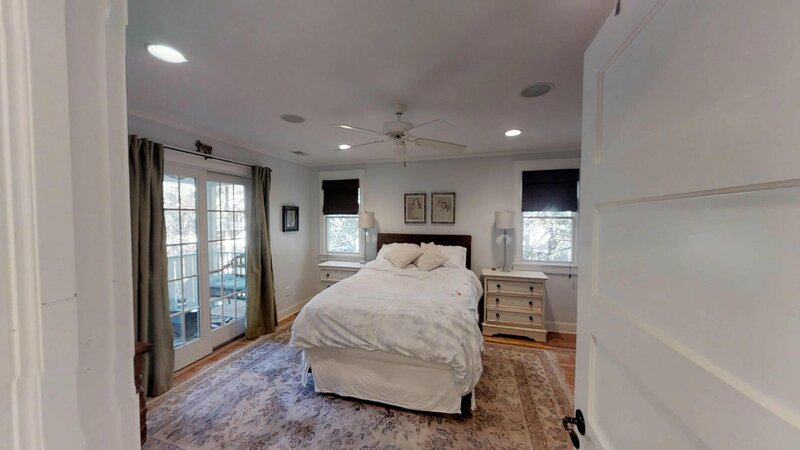 Inside the home you'll find a large and well-lit Master suite with fully updated bathroom. 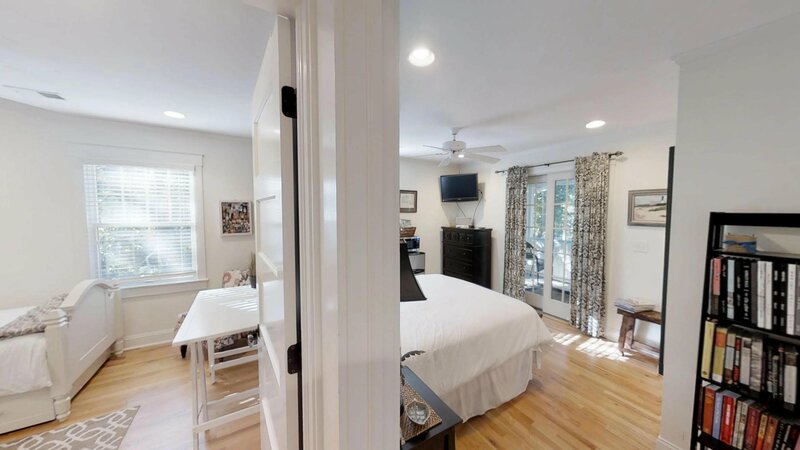 The Master Suite boasts access to a screened front porch as well as private access to the back deck. 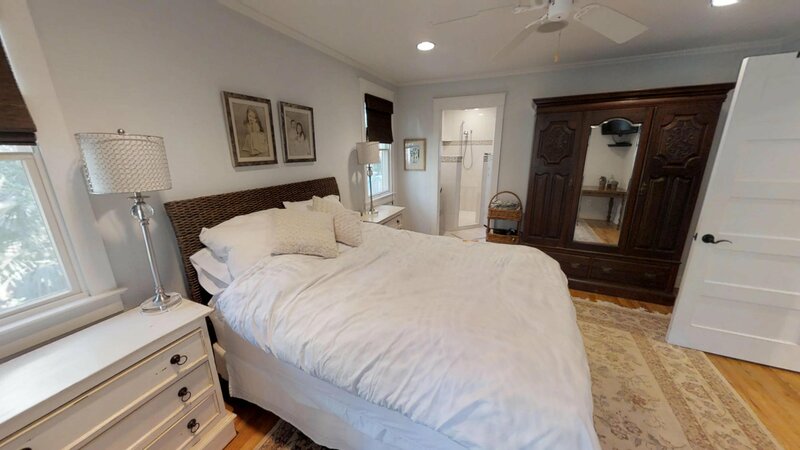 Two other bedrooms are present on the opposite side of the home, one of which has an en suite full bathroom, private entrance, and private screened in porch. 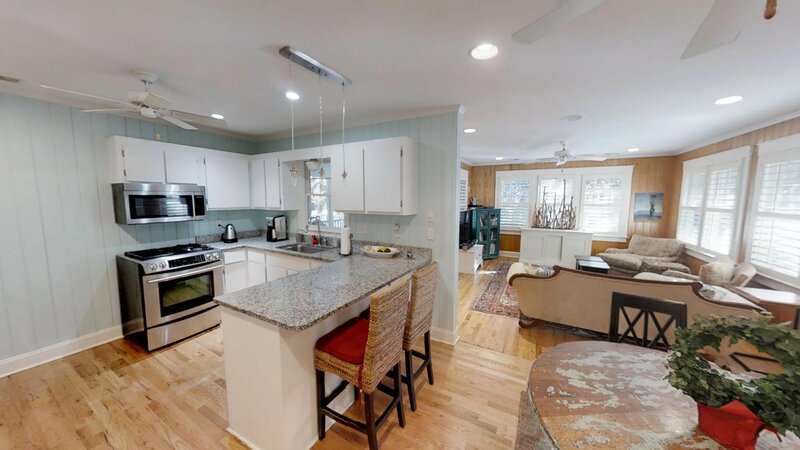 An open kitchen provides a spacious feeling into the dining room area and living room addition on the back of the home that is encased with windows for incredible natural light. 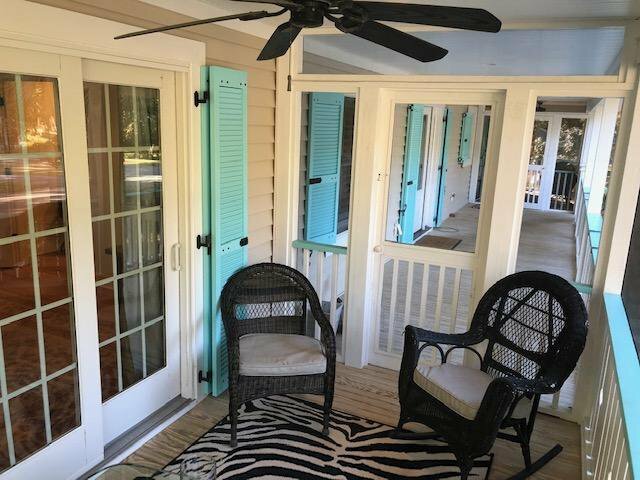 A large screen porch off the living room and deck on the back of the home complete the expansive outdoor living areas. 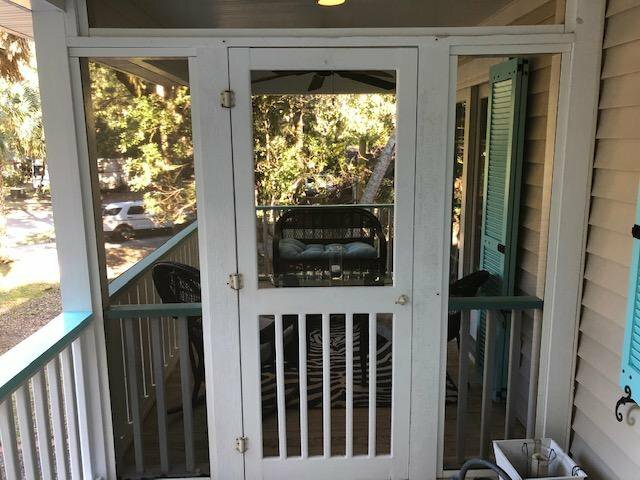 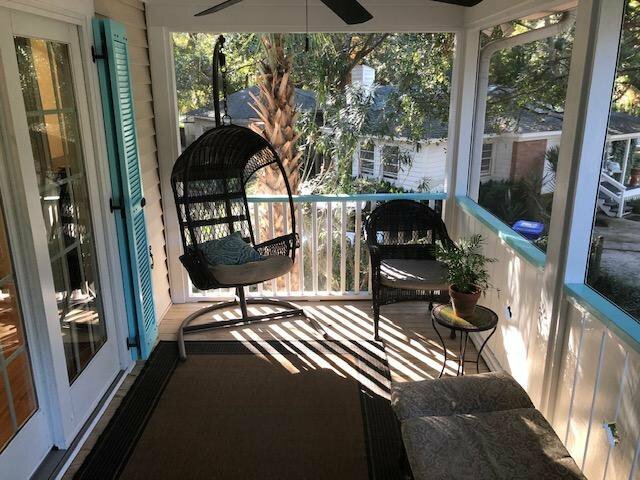 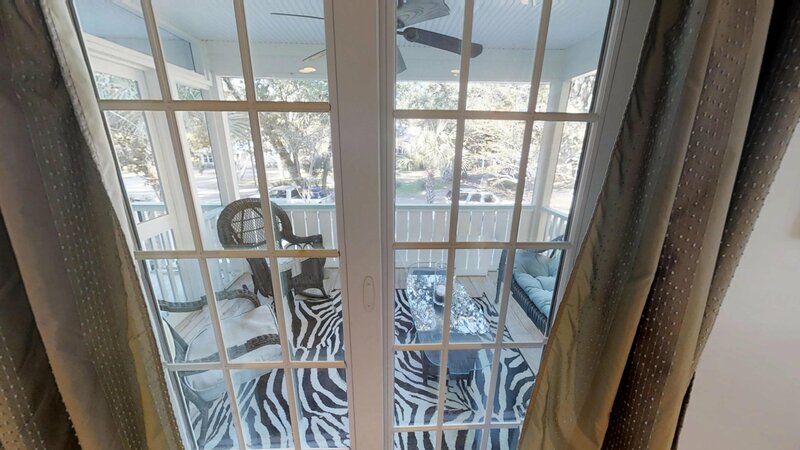 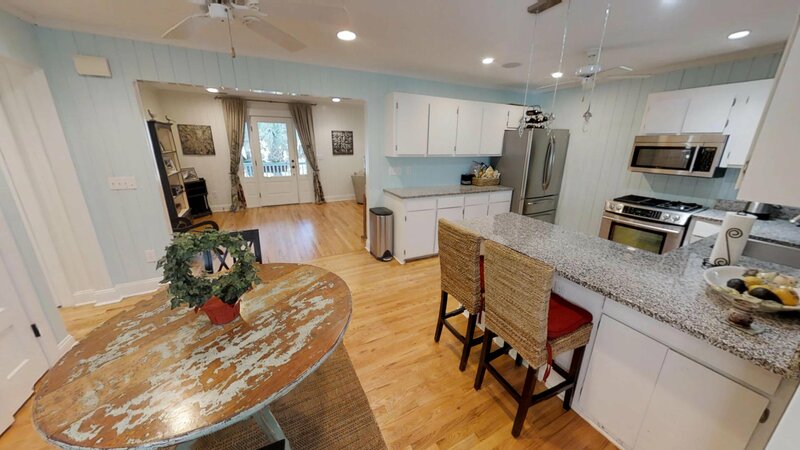 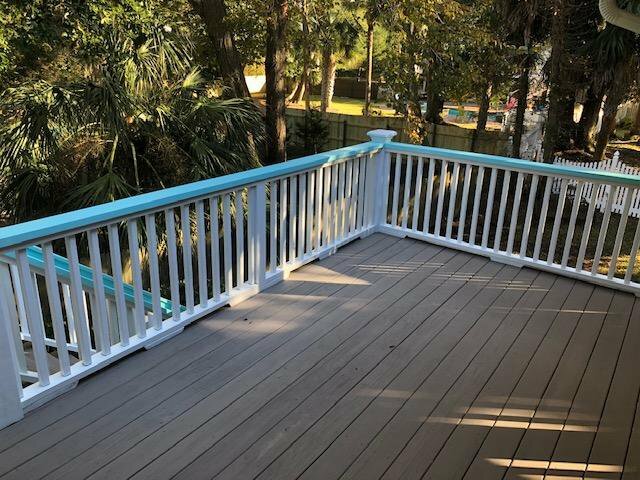 With double front screened in porches, front deck, back screened porch, and back deck, you'll have plenty of spaces to relax or entertain in the amazing Isle of Palms weather! 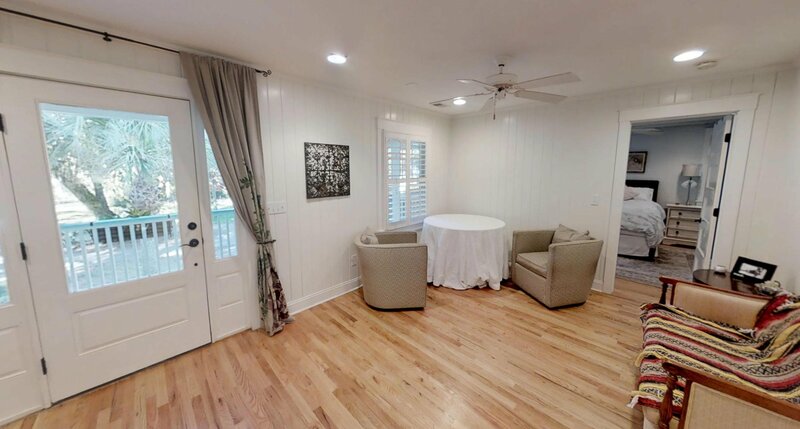 Whole house is wired for ceiling mounted speakers as well. 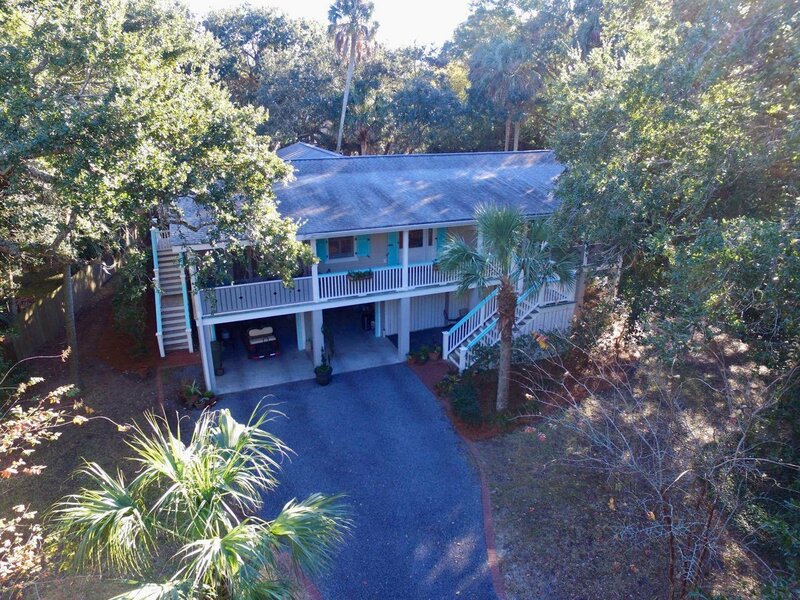 Zoned for desirable Sullivan's Island Elementary (one of only a few nationwide located oceanfront!) 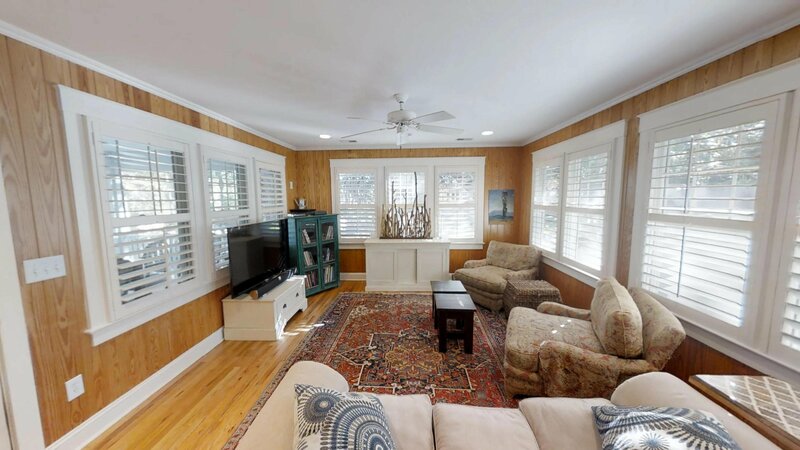 in the award winning Mount Pleasant school district. 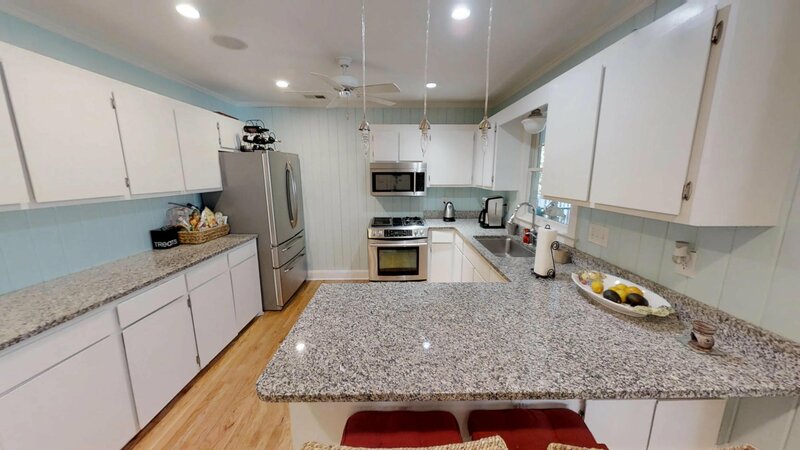 Most amenities listed are available at the nearby Isle of Palms Recreation Center which has tennis courts, basketball courts, baseball fields, football and soccer fields. 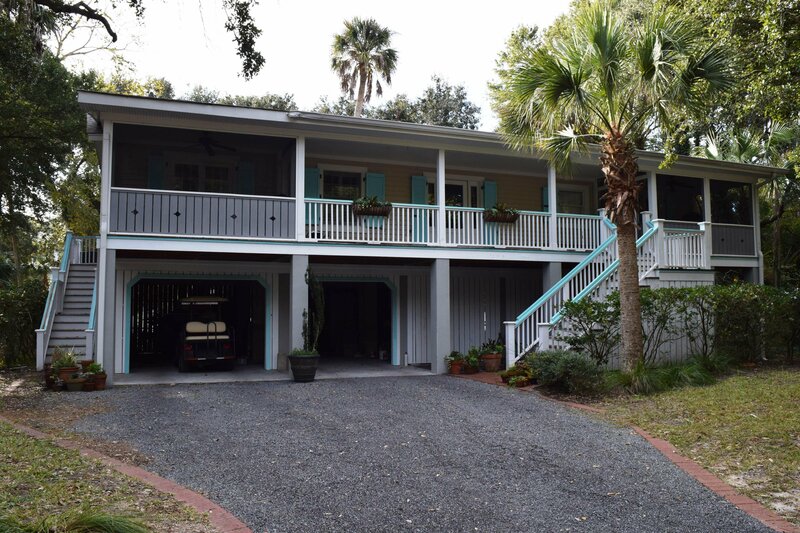 The Morgan Creek/Isle of Palms Marina is a short distance down Waterway Blvd and has a public boat ramp for an annual fee. 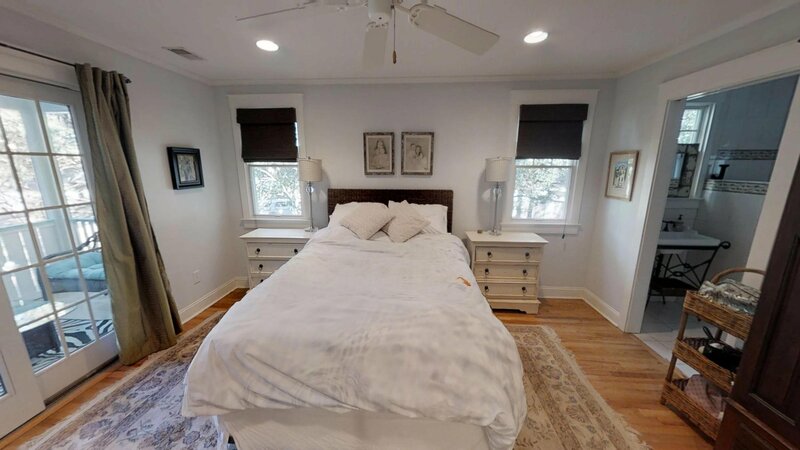 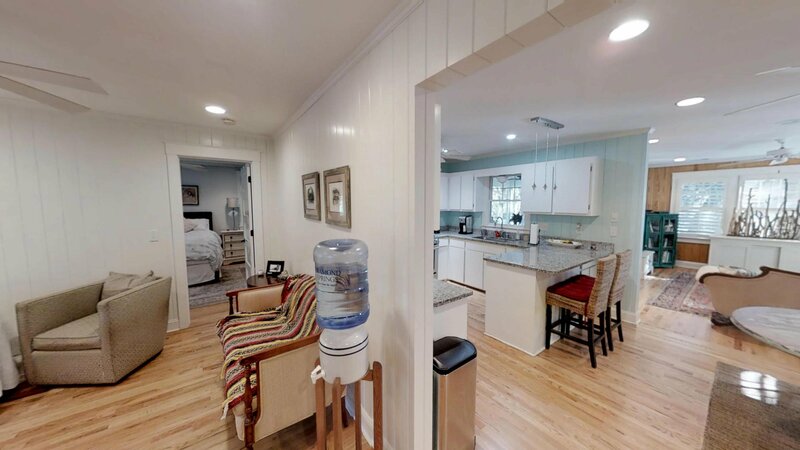 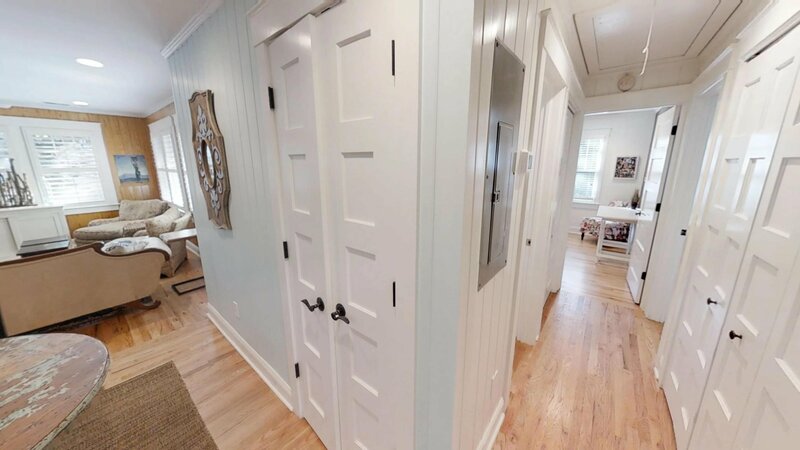 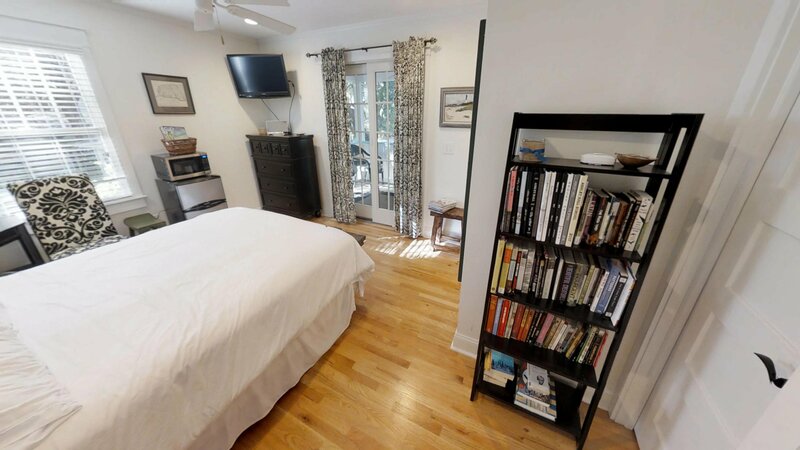 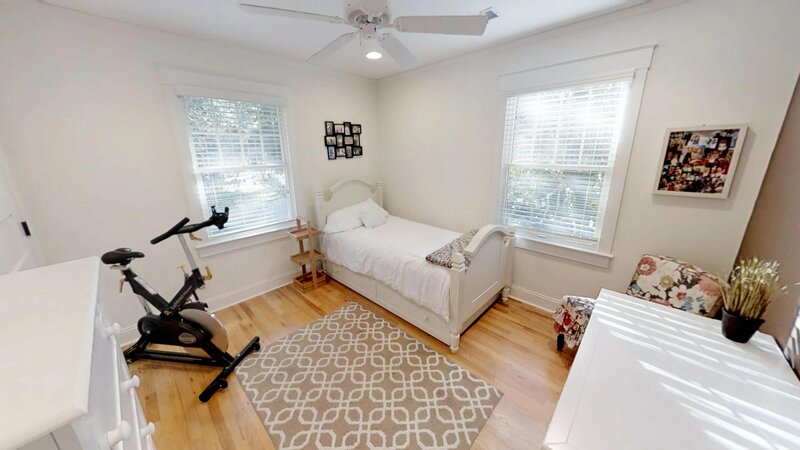 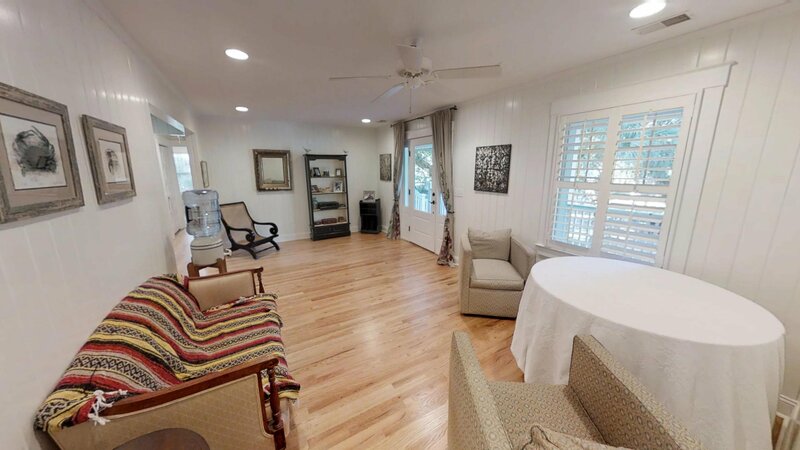 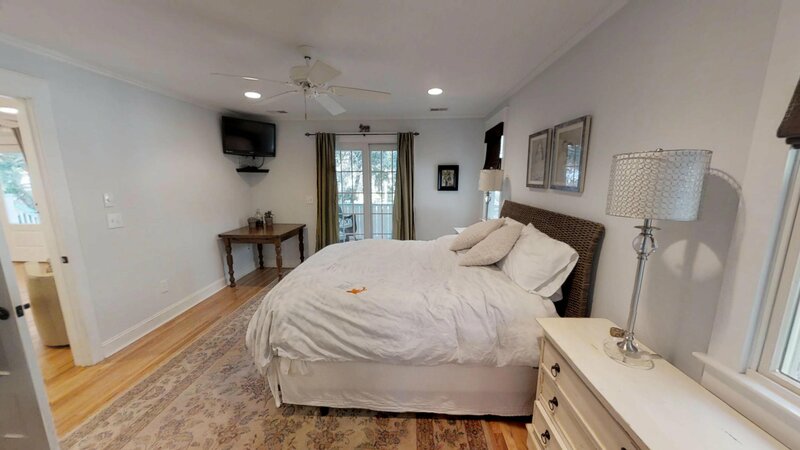 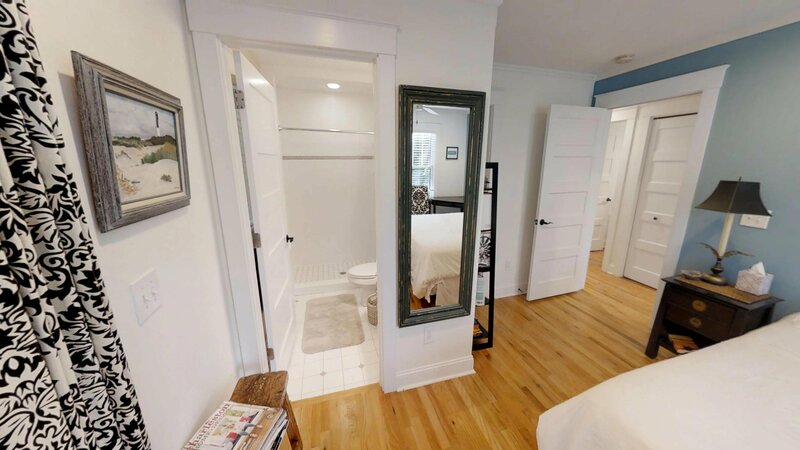 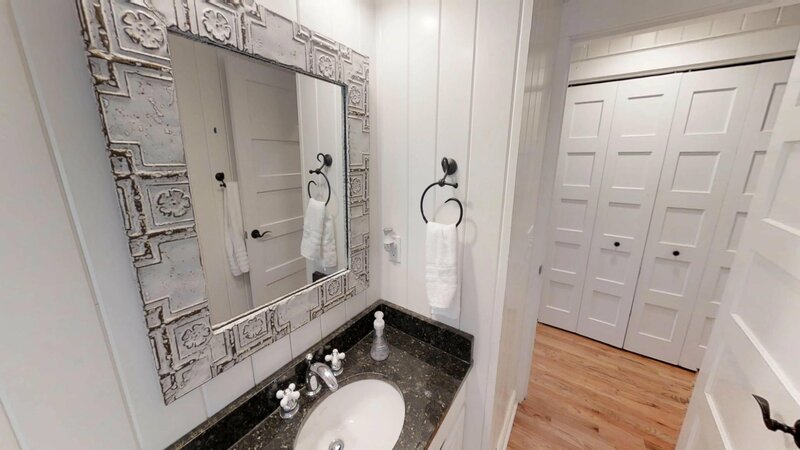 Be sure to view the virtual 3D tour! 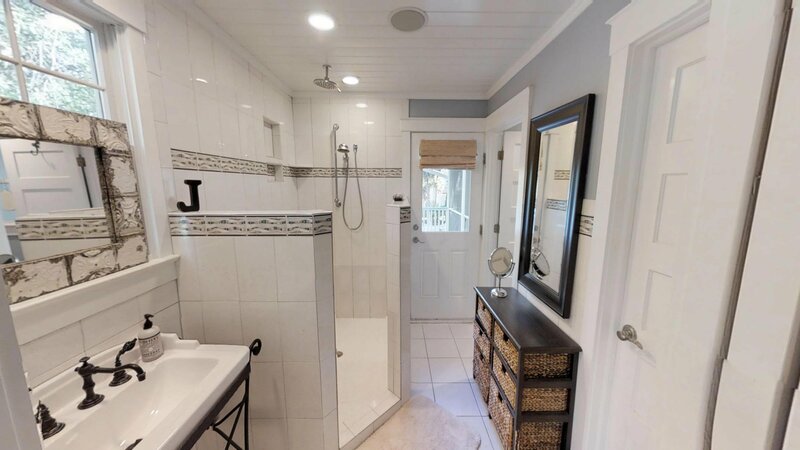 Listing courtesy of Be Local Homes.